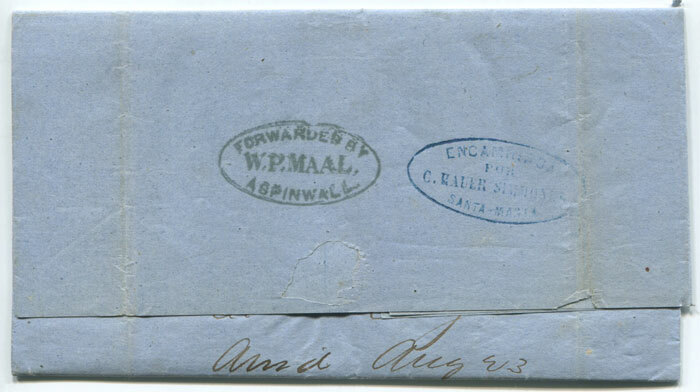 with 'OCANA FRANCA' h/s and two fine strikes of 'JAMAICA SHIP LETTER' (SL5). 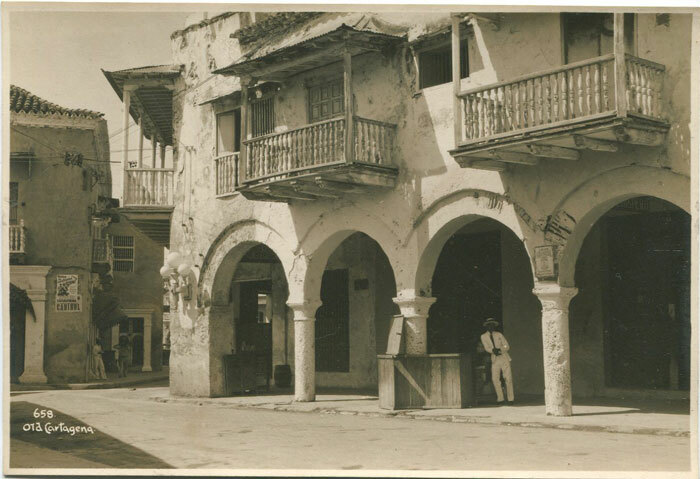 On reverse fine Kingston Jamaica cds and London ds. Rated 1/4d. 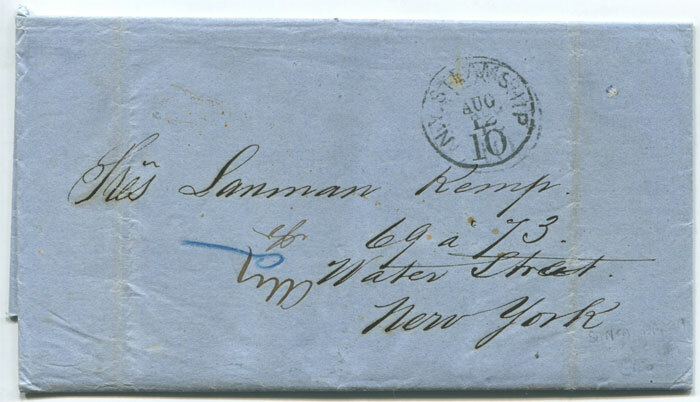 on reverse of EL from Santa-Marta (Colombia) to New York with blue oval "C. Hauer Simmonds / Santa-Marta" and 'N.Y. STEAMSHIP 10' cds. Fine. 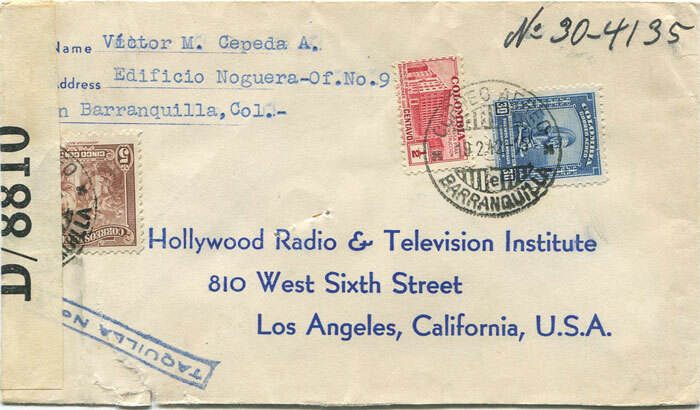 from Colombia to U.S.A. Clean. 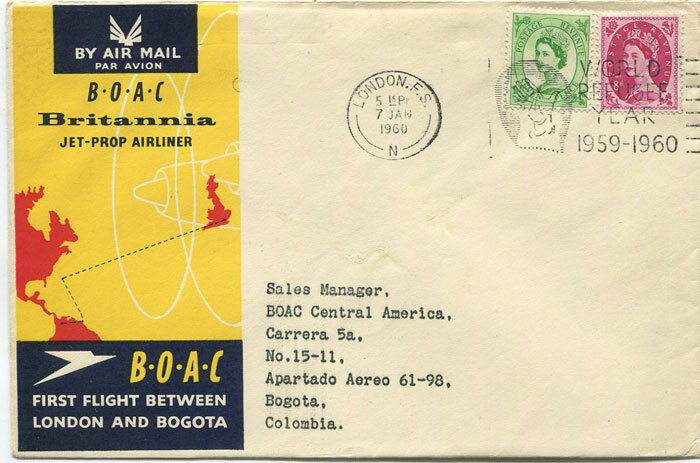 1960 (10 Jan) Colombia - London first flight cover per B.O.A.C. Bogota special cancel and B.O.A.C. 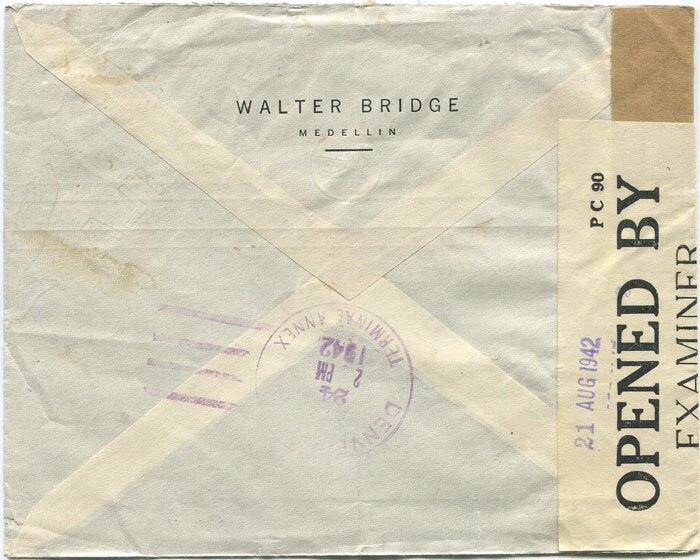 company b/stamp. Fine. 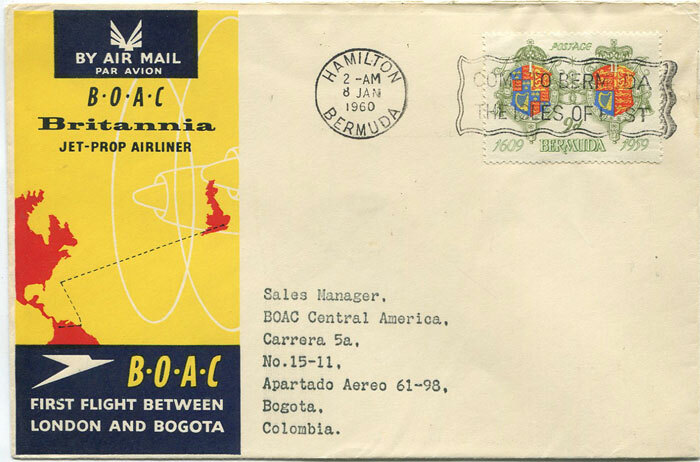 1960 (7 Jan) First Flight cover London - Bogota, Colombia per B.O.A.C. 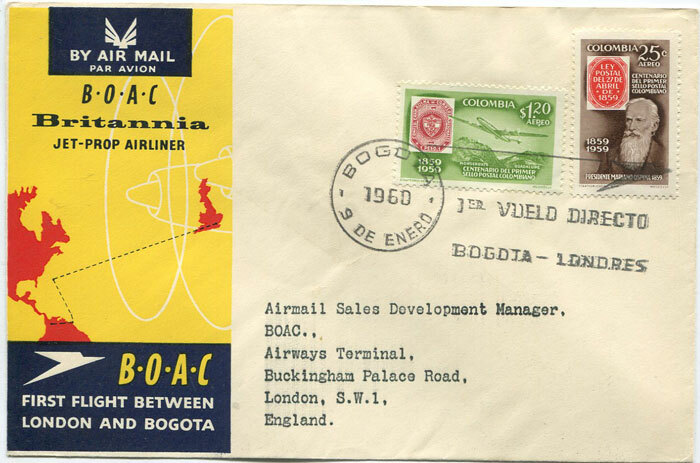 1960 (7 Jan) First Flight cover Bermuda - Bogota, Colombia per B.O.A.C. 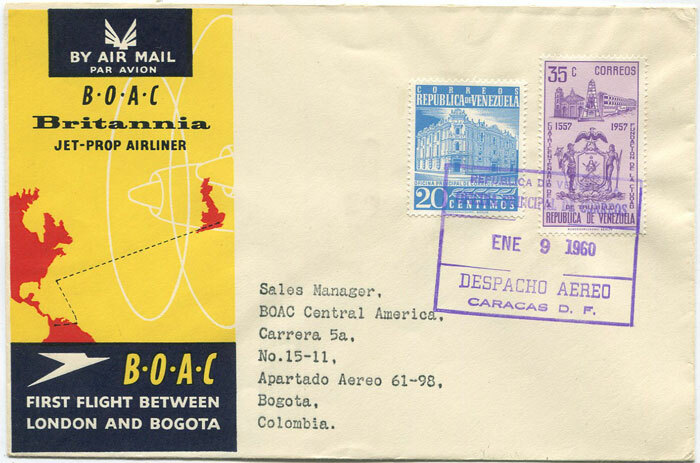 1960 (9 Jan) First Flight cover Bogota, Colombia - Caracas, Venezuela per B.O.A.C. 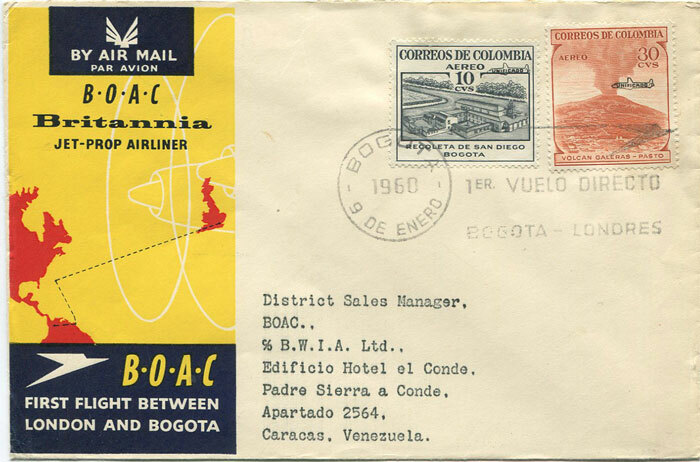 1960 (9 Jan) First Flight cover Caracas, Venezuela - Bogota, Colombia per B.O.A.C. 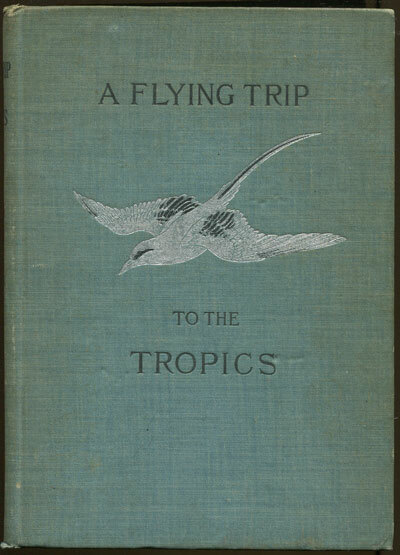 2013 (18-19 Sep) The Dr Hugo Goeggel collections (Part 2). 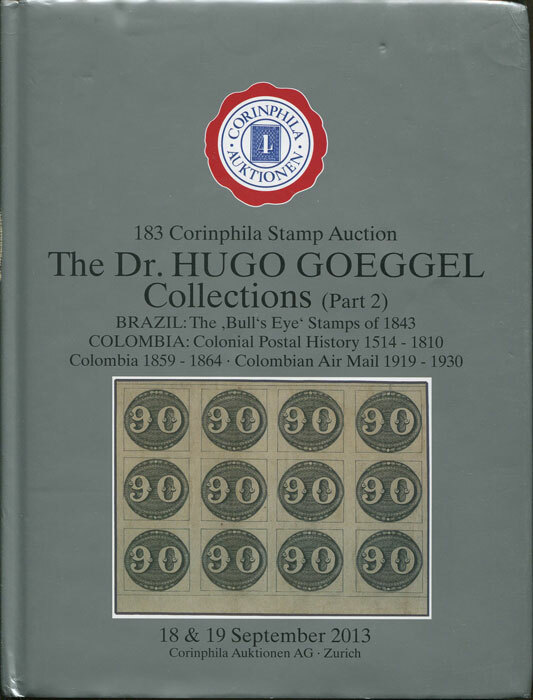 Brazil: The Bull's Eyes stamps of 1843. 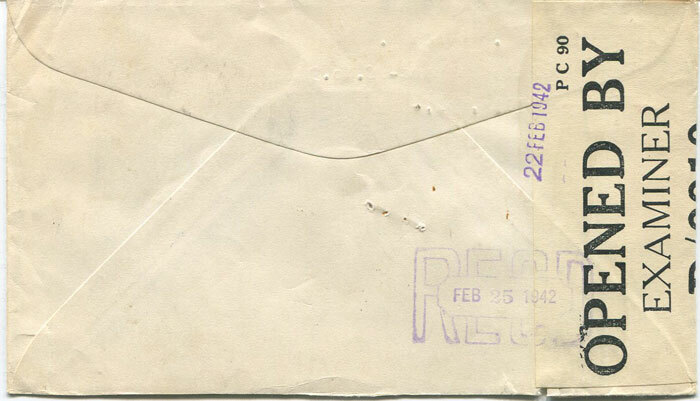 Colombia: Colonial Postal History 1514-1810. 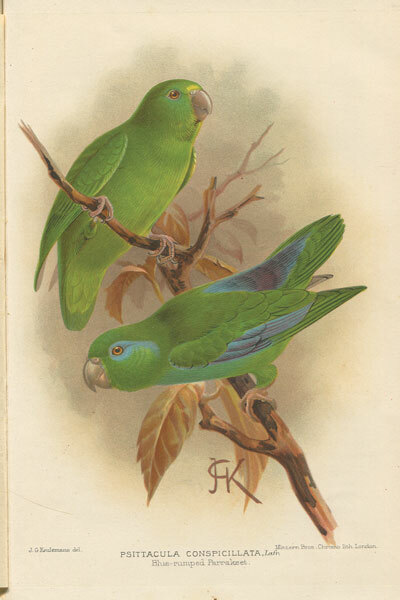 Colombia 1859-1864. 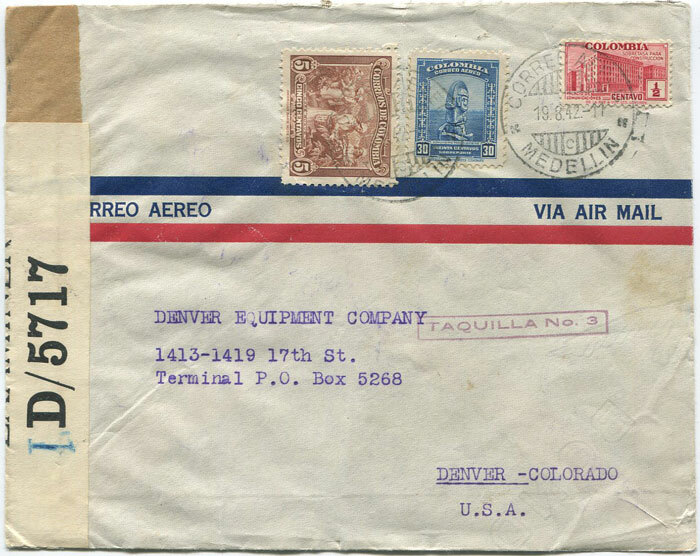 Colombian Air Mail 1919-1930. Corinphila 150pp + PR. Fine in D/W.